This is my first time turning a segmented bowl on the lathe and I started the project out with a cherry 4×4 I’ve been wanting to use. 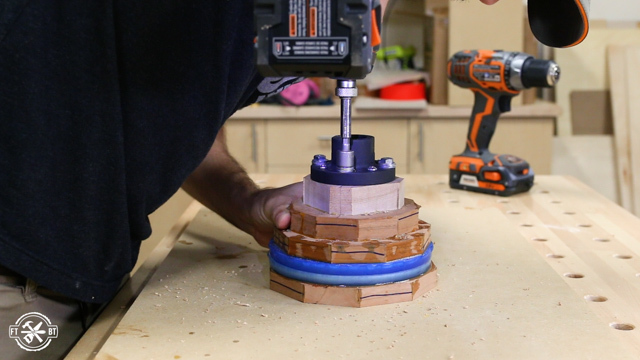 It had some defects in it, so I decided to mill it down into thinner boards for my bowl. I setup my bandsaw for resawing then used one flat face against the bandsaw fence and the other against the table and ran the 4×4 through three times to get four boards out of it. 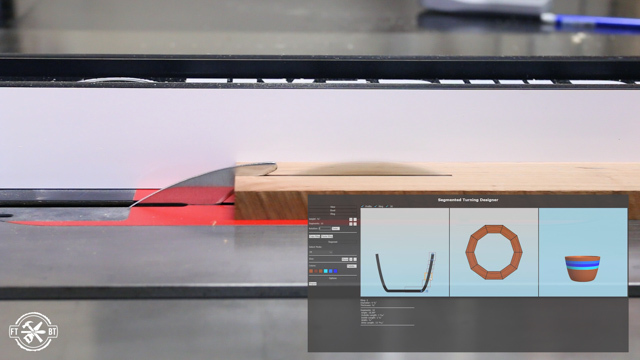 This is a great way to get perfect grain matching in a project. 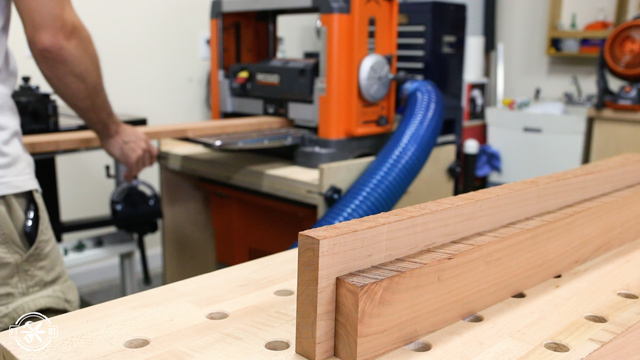 I finished off the rough milling at the planer and got my boards smooth on both sides and a consistent thickness. 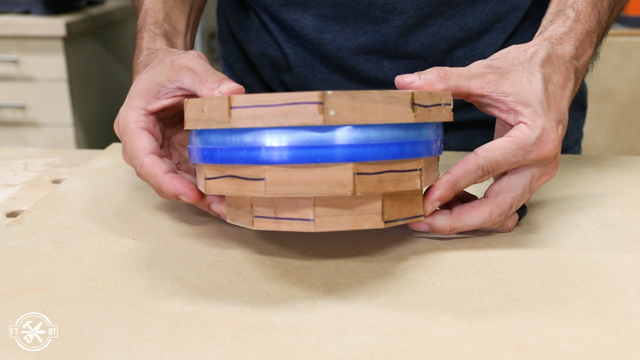 I designed the bowl to be made from 4 segmented wood rings and 3 epoxy rings (spoiler, that design didn’t work). 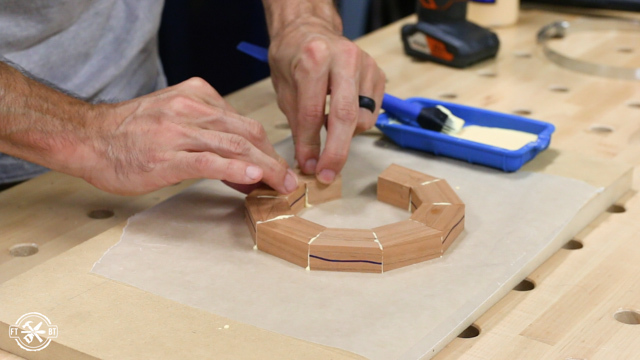 Each wood ring is based on the width and length of the segments. I used an online tool to plan out my bowl and it told me exactly how wide to make each strip that I’ll cut into segments. With each strip cut to size I made a pencil line down one face a marker down one side of each board. This will help keep the segments organized later. I’ll be cutting the segments on my table saw so I started by switching out to a fresh sacrificial fence on my miter gauge. 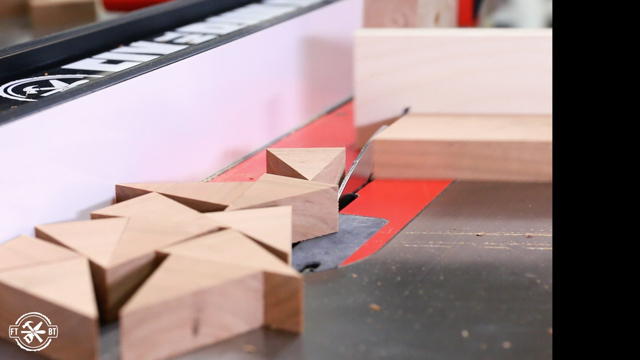 Then I used a nifty miter setup block made specifically for cutting segments. I set one pin to the home location and the other to the number of segments I wanted in each ring. 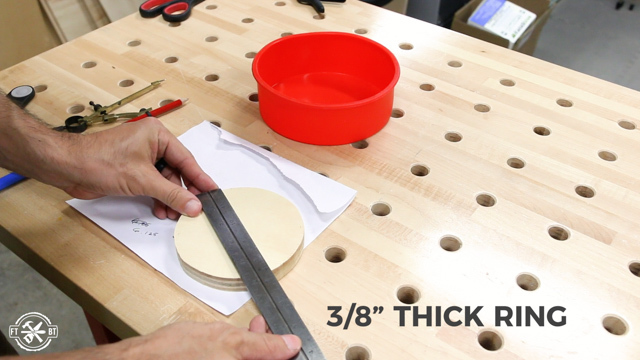 It sets the angle of the miter gauge for perfect cuts with no math. I ran the miter gauge over the blade at this setting to see exactly where the blade would hit the miter fence. Then I clamped a stop block to my table saw fence and set up for my first segment cuts using the numbers from the online tool. Cutting the segments is pretty easy. I just butted the board against the stop block, made the cut, then flipped the board over and repeated that until I had my 10 segments. 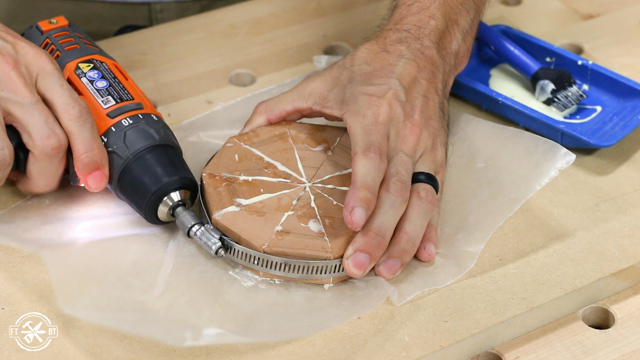 Since this was my first time doing segments I wanted to glue the base up before cutting the rest to get a feel for it. I used the marker and pencil lines to alternate the segments to help cancel out any variation in the cuts. Then I applied a liberal amount of glue to each piece and fit them together like a nice pizza pie. 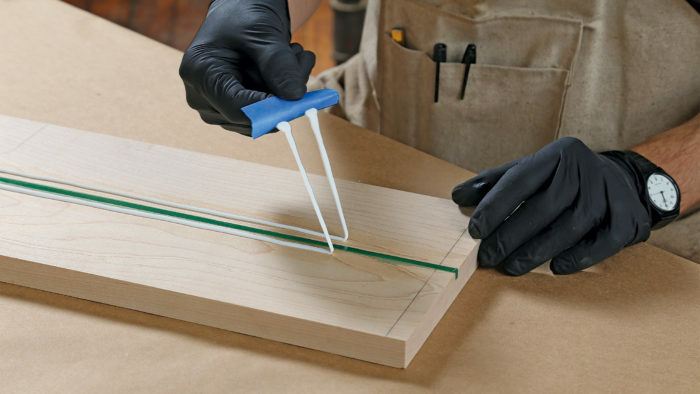 And using a wax piece of paper under the glue up will help keep your bench nice and clean. To apply pressure I used a hose clamp and tightened it down with with my drill. This works really nicely. I felt pretty good about the process so I went back to the table saw and cut the segments for the other rings. 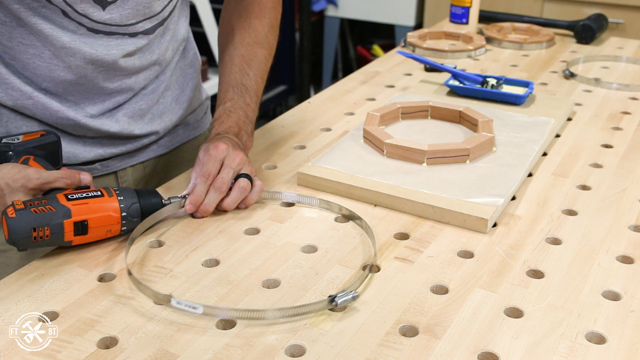 Each ring going up the bowl gets wider so the the segments get progressively longer as well. If you used more segments in the upper rings this wouldn’t be true, but I used 10 segments for all the rings. The glue up for the rings is slightly trickier than the base since there isn’t a middle point to reference all the segments on. But I rubbed each piece together as I added it to the ring and this helped hold everything together until I could get them all in place and clamp them with the hose clamp. I repeated the process with the other rings but had to make a quick adjustment for the top one. The 7” hose clamp I had was just a little too small, so to extend it, all you have to do is disassemble two of them then thread them back together into one ring. 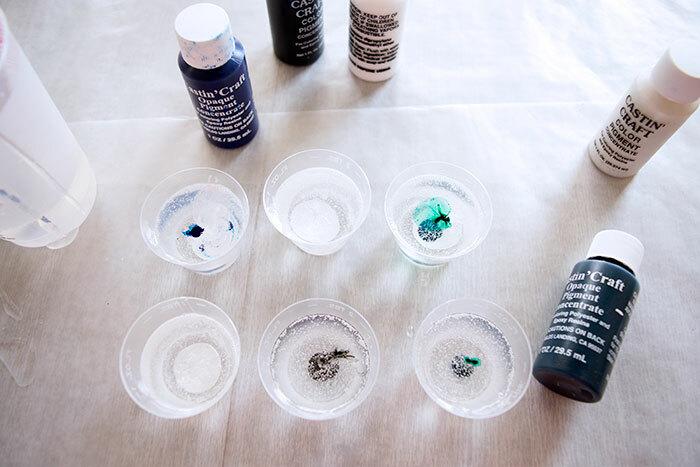 This is a great hack to not have to buy a ton of different sizes too. 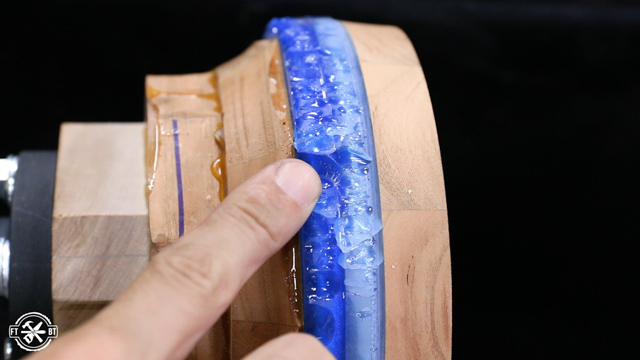 Next I moved on to making the epoxy resin rings for the segmented bowl. Instead of making resin strips and cutting them into segments I bought a silicone cake moldto make one piece rings. 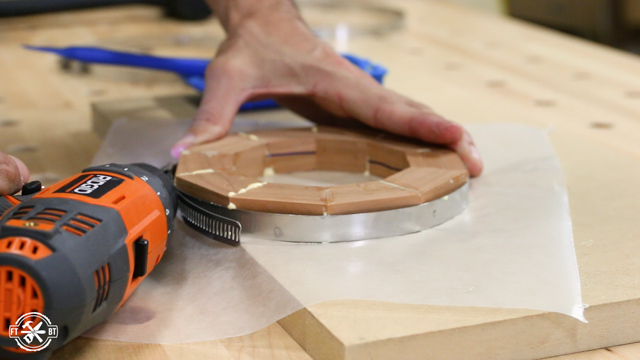 I laid out a circle on a piece of ¾” plywood to give me a ¾” wide ring. I cut the circle to size on my bandsaw. It doesn’t have to be super exact, so I just got close to the line and freehanded it the best I could. I wanted a ⅜” thick finished ring, so I figured I’d pour a ½” thick ring to get there. I used the good ole pi R squared equation to find the area of the base of the mold then subtracted the area of the wood circle. This gave me the area of the ring. Then I just multiplied it by ½” to get the volume of the ring in cubic inches and converted that to ounces (or milliliters for all my metric friends). 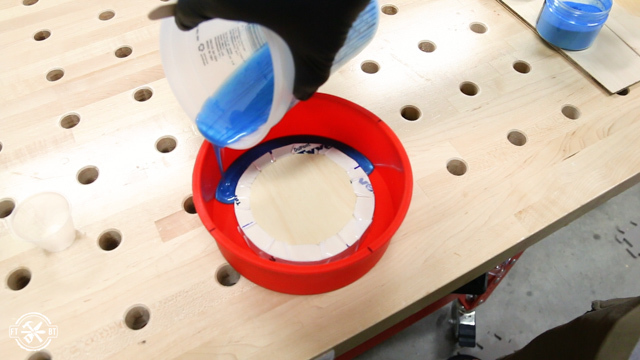 To keep the epoxy from sticking to the wooden circle I covered it in a sealant tapearound the bottom and sides. Then I used hot glue to stick it to the bottom of the silicone mold. The pour was 4 ounces of resin. I used a mixing cup and a two part epoxy to get the right mixture. Then I added in some blue pigment for coloring. 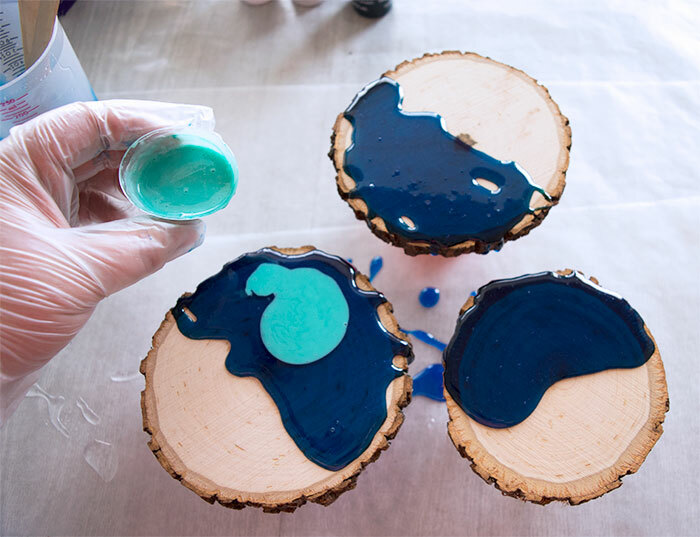 I mixed the pigment in until it was an even color and poured the resin into the mold around the circle. The epoxy setup overnight and the resin came out easily. The metallic pigments left a cool design in the ring as it cured. I repeated the exact same process with a lighter blue pigment for the next ring. 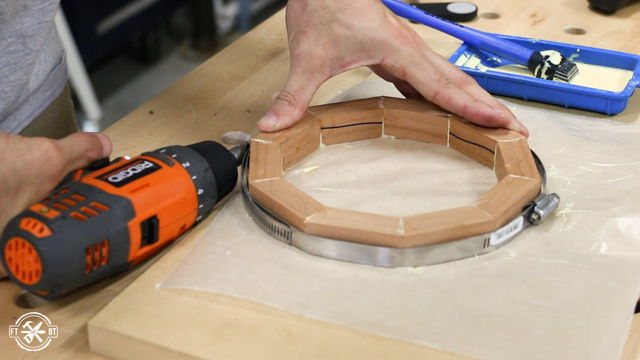 For the third epoxy ring I cut a smaller circle to make the inside of the epoxy ring smaller. This will allow me to have a sweep in the bowl and transition between layers. 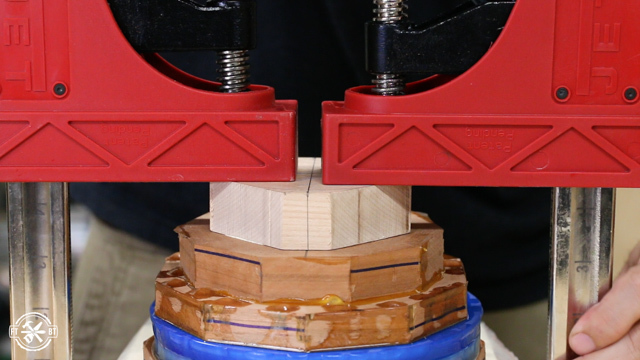 With the epoxy rings done I pulled out the segmented wooden rings from the clamps. 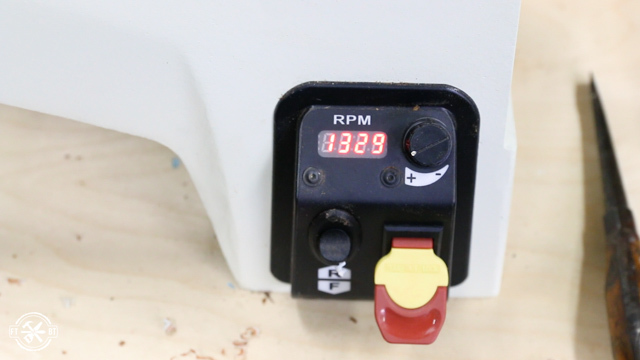 Then I rolled out my 18-36 Drum Sander from JET, the sponsor of today’s video. 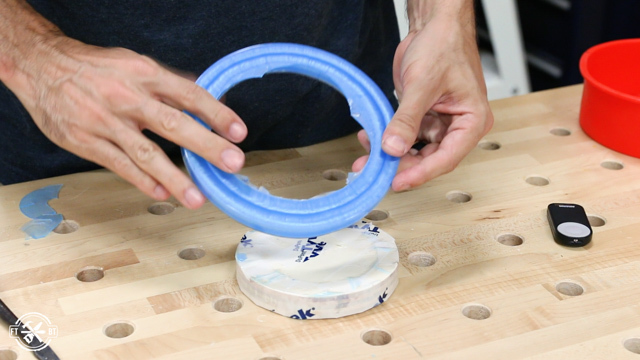 It’s great for flattening delicate items like these epoxy rings. I ran the rings and segments through and finished them off with a little hand sanding at a higher grit before glue up. But at this point I also realized my design plan had gone south. 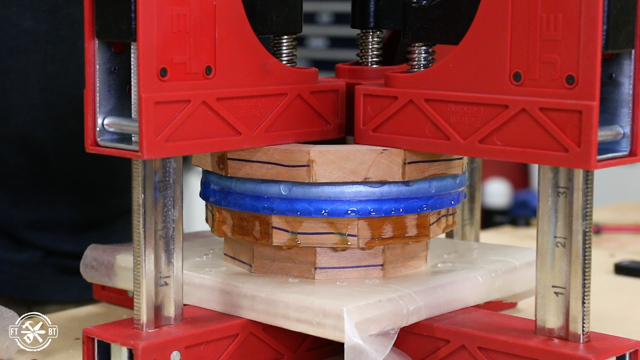 The top wooden ring was too large for a good transition to the largest epoxy ring size. And when I tried to stack the three epoxy rings together it just didn’t look right. 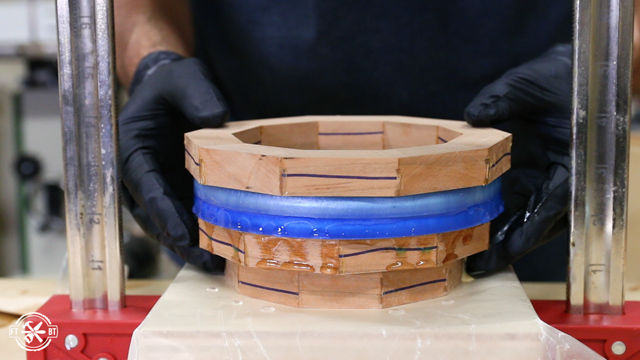 So I went with just two epoxy rings and three wood rings for the final design of the segmented bowl. To bring all the pieces together I did a large glue up all at once. I used yellow glue for the wood to wood connection at the base, then used epoxy for all the other layers. This was a little tricky since epoxy just kind of slides and doesn’t tack up quickly like wood glue. But I got everything lined up and clamped in place, using my JET Parallel Clamps. After the glue up was dry I took it out of the clamps and it was looking pretty sweet! 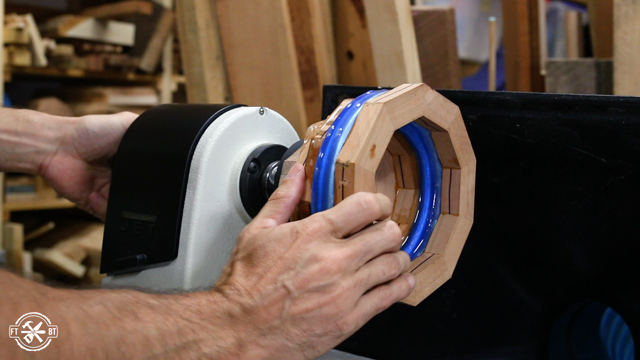 To turn the segmented bowl I’m attaching it to a face plate on my lathe. So I cut a small block and glued it to the bottom of the blank. This basically will just hold the screws from the faceplate and make sure everything stays put while turning. I attached the face plate to the bowl blank and mounted it on the lathe. The blank was definitely out of round, but luckily I have the JET 1221VS lathe that has variable speed so I could easily control or adjust for any vibration due to wobbling. I set the lathe to a little under 1,000 RPM and got my square radius carbide tool to do the roughing like I do on most turning projects to start out. 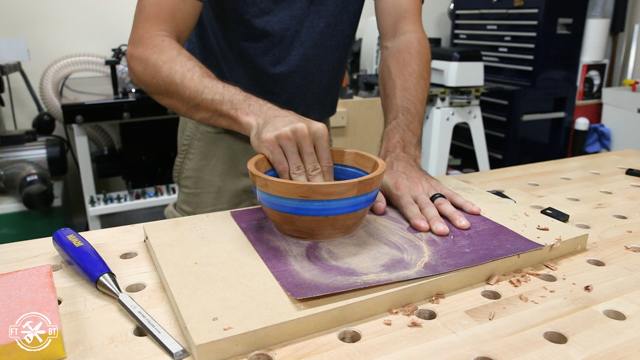 When I started in on the segmented bowl I quickly learned that turning epoxy is not like most turning projects. It chipped out like crazy. Look at these huge chunks that came out. I switched over to a round tool and cranked the speed up to about 1,350 RPM and this made all the difference in the world! 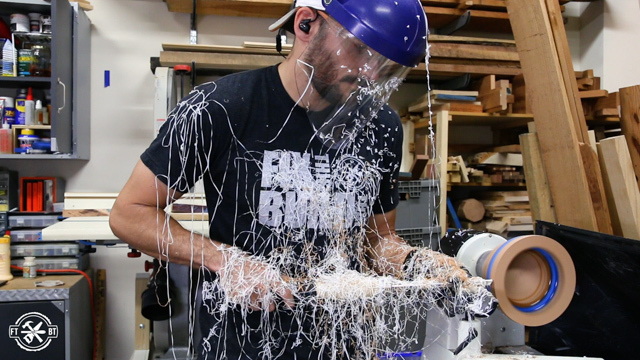 The resin started shooting off in streams of white ribbons and it was actually really fun to turn. It makes a huge mess, but it’s definitely fun. 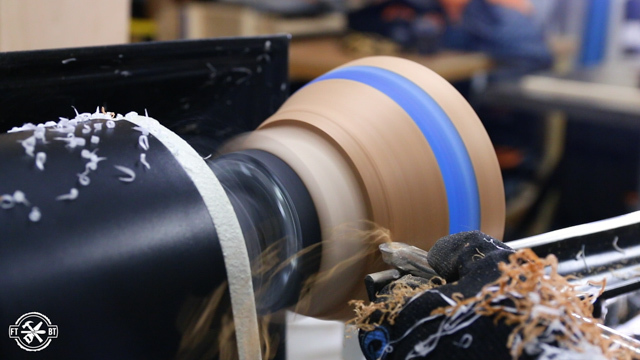 After roughing out the outside shape I moved the tool rest and started working on the inside of the segmented bowl. You’ll notice I’m wearing a glove on my left hand and that’s to protect it from the epoxy shards and fibers which can really irritate your skin. 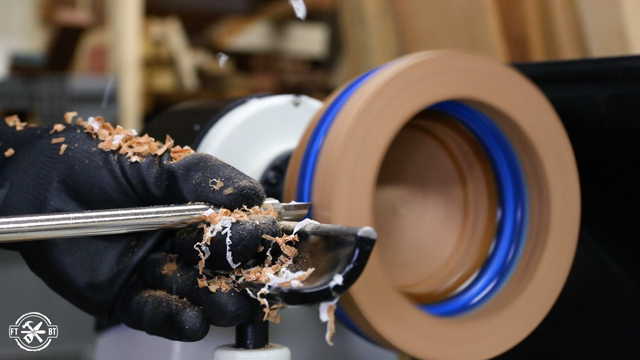 But always be very careful whenever wearing a glove around a lathe and keep your hand firmly on the tool rest away from the bowl. I finished the inside shaping then went back to the outside to clean up the base of the segmented bowl. After that I was ready for sanding and I worked my way through the grits using woodturner sanding strips from 150 to 600. Then I came back with some micromesh sanding pads and went all the way up to 3600 grit. I used a water based finish on the segmented bowl and the epoxy really came to life. I applied 5 coats sanding with the micromesh in between each one until I had a nice sheen. To remove the segmented bowl from the lathe I used a parting tool and cut right where I had glued on the face plate block. I finished it off with a hand saw so the bowl wouldn’t go shooting off and ruin all my work. I cleaned up the bottom with a chisel then sanded it flat and after a little more finish I was done. Even though this wasn’t my original design, I’m really happy with the outcome and I learned a lot about segmented turning and turning epoxy. I love the shimmer of the epoxy and the way the cherry segments complement the blue sparkle in the rings. Working with epoxy is a blast. A rip cut is simply a cut that runs parallel with the grain of the wood, as opposed to a crosscut, which goes across the wood grain. Most circular saws come with a metal rip guide that attaches to the saw's base plate. This type of guide works, but it's limited to rips of only about 6 in. wide. 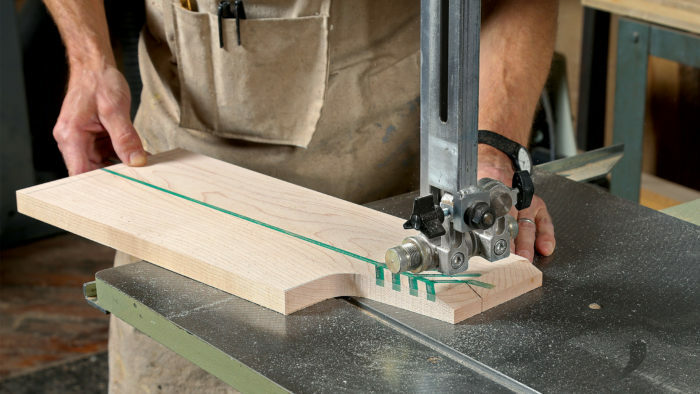 A better option is to clamp an 8-ft-long board in place for use as a straightedge guide. You could make the guide from a perfectly straight 1 x 8 or 1 x 10, but I prefer a 10- to 12-in.-wide wide rip of 1/2-in. birch plywood. 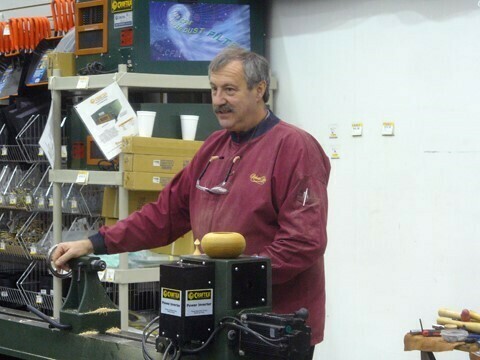 The factory edge of the plywood is always smooth and perfectly straight, making it an ideal saw guide. Mark the cut line on the piece you're ripping, then measure the distance from the saw blade to the edge of the saw's base plate, which, let's say, is 3-1/2 in. 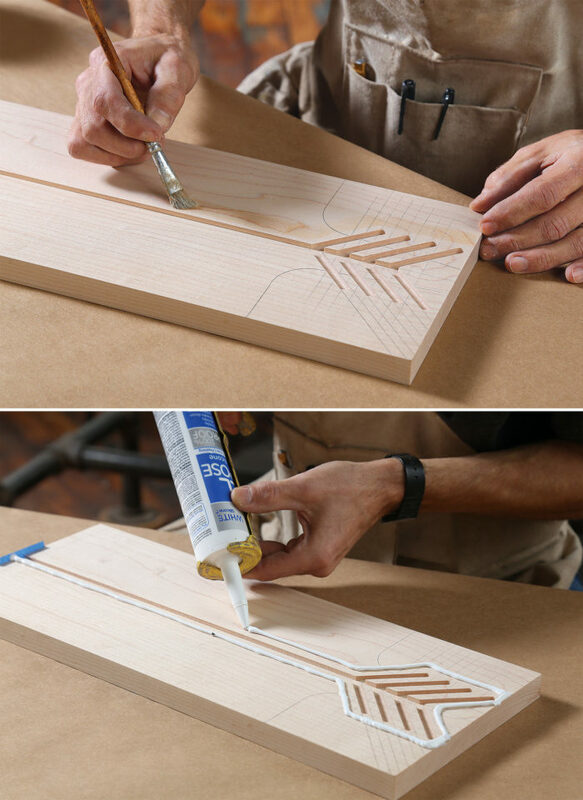 Now measure over from the cut line 3-1/2 in. and clamp or screw the straightedge guide in place. 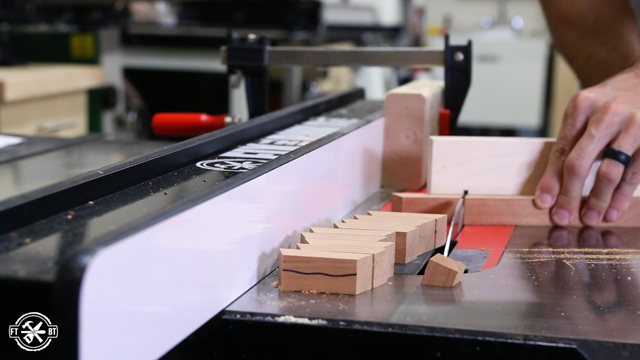 As you make the cut, keep the saw's base plate pressed against the straightedge guide. 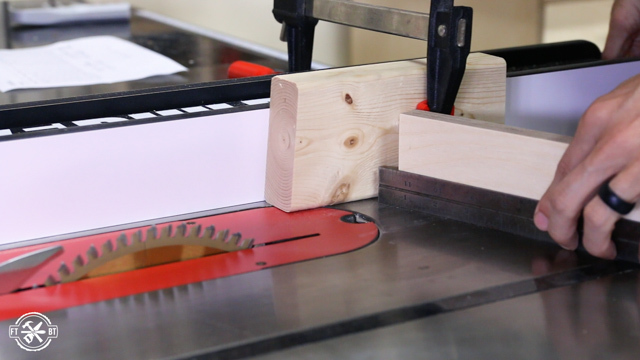 A spinning circular saw blade enters the bottom of the board and exits through the top, and as a result, splintering often occurs on the top surface. 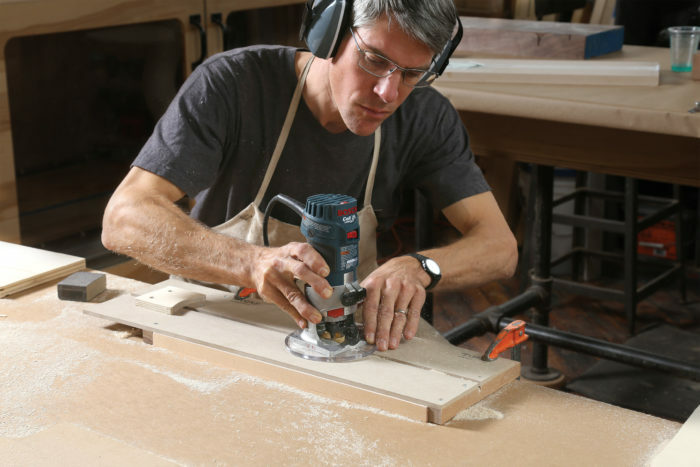 Now that's not a concern when cutting wall studs or floor joists, but it is when sawing expensive hardwoods or hardwood-veneer plywood. 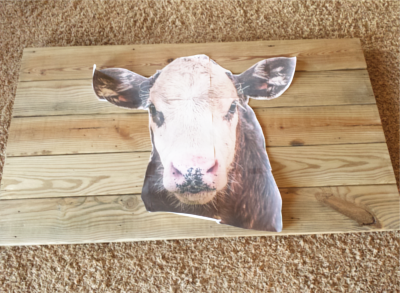 Here's the solution: Place the board or panel with its best surface facing down. That way, any splintering will occur on the top or back side. When trimming doors down to size, you want to eliminate splintering from both sides. 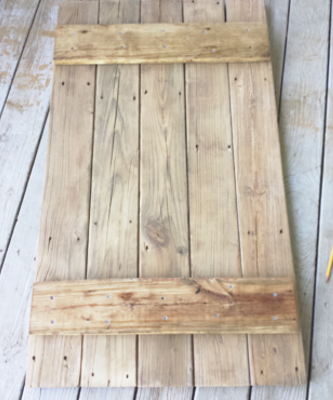 Here's how: Again place the best side face down, meaning the side of the door that will be most visible once it's hung. Then score along the edge of the cut line with a sharp utility knife. 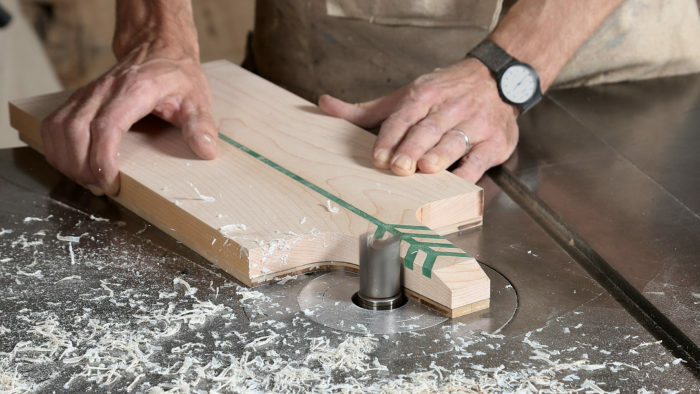 Now when you make the cut, the wood fibers will break off cleanly at the scored line, leaving a smooth, splinter-free cut. Rout the grooves. 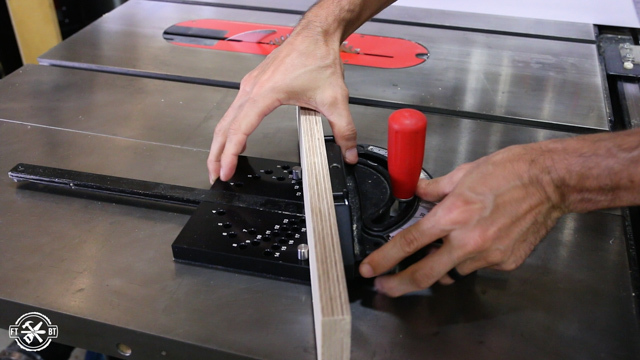 Because the epoxy is translucent, the grooves must be cut cleanly without burning, so use a sharp bit in the router. Resin is a wonderful inlay material. You can create delicate patterns without the worry of having to cut and fit matching, delicate inlay pieces. 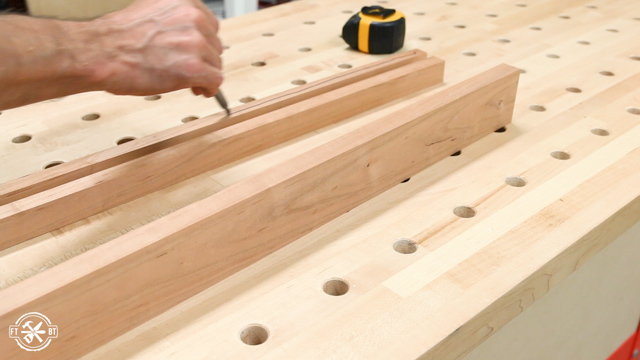 Instead, after drawing and cutting “mortises” for the resin, just pour the resin and watch as it fills the voids. 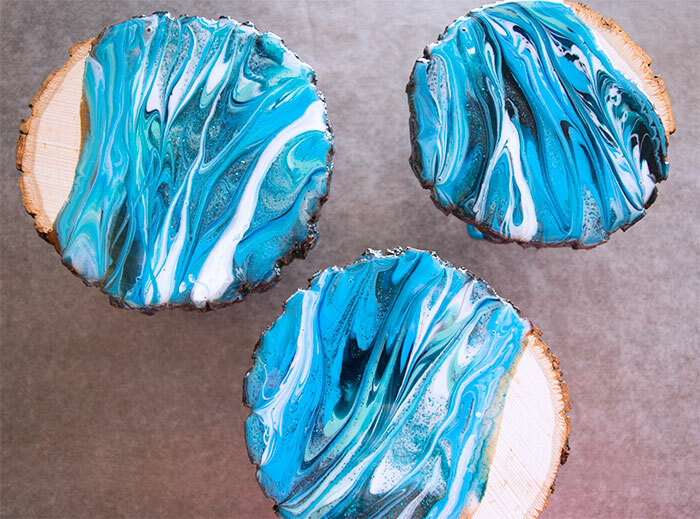 You have an unlimited choice of colors, and the resin can be as translucent or opaque as you’d like. There really are no limits on the designs possible with resin inlay. It’s also a lot of fun, even magical at times. Build a dam. Brush on a strip of furniture wax about 1/4 in. from the groove, following the contour of the overall design but not dipping between close-set grooves (top). 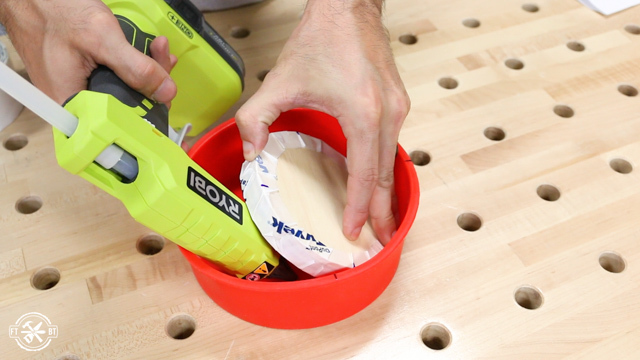 Next, lay down a bead of pure silicone caulk, like GE Type 1, in the middle of the wax. 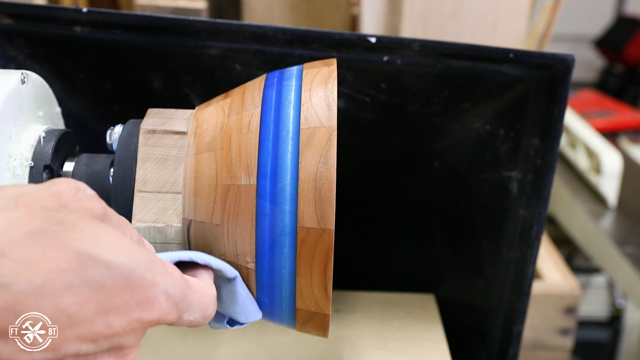 Blue tape, when pressed firmly to the wood, makes a good dam at the ends of grooves that run out the board’s edge (bottom). Wait for the caulk to dry before pouring the epoxy. I have seen some dramatic failures with resin inlay, both my own and those of friends. Improper setup times, incomplete hardening, bubbles, shrinkage, colors gone wrong—all are potential pitfalls. But they can be avoided. 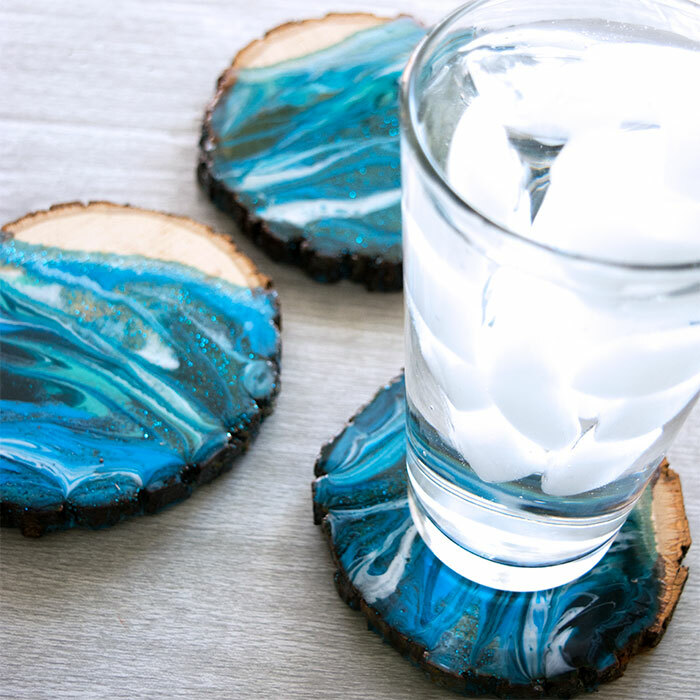 I’ll show you how to mix resin (I prefer epoxy) and add color to it, as well as demonstrate how to pour it cleanly and clean up after it has cured. Mix the two parts. Moore uses a digital scale, because mixing by weight is more accurate than mixing by volume. 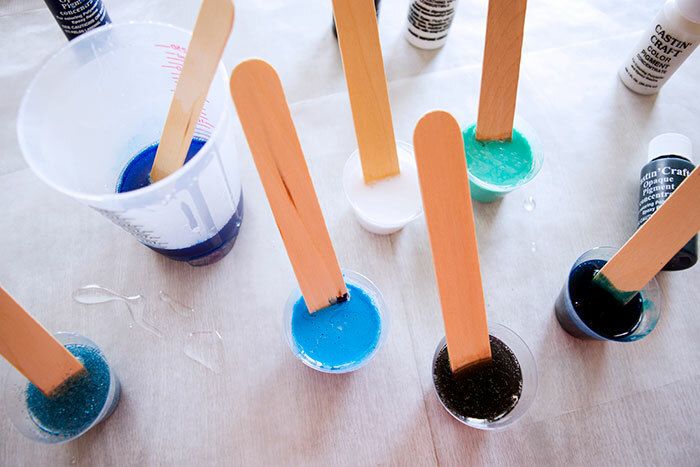 The three most common types of resin are polyurethane, polyester, and epoxy. All three require careful mixing or they will set too quickly, only partially, or not at all. They each have great benefits, but I’ve found that epoxy is best suited as inlay material in wood. 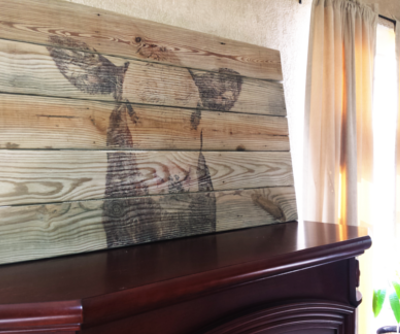 It doesn’t react dramatically with the moisture present in wood, it’s durable, and when sanded properly it can be finished with a variety of topcoats, wax, and food-safe oils like mineral oil. 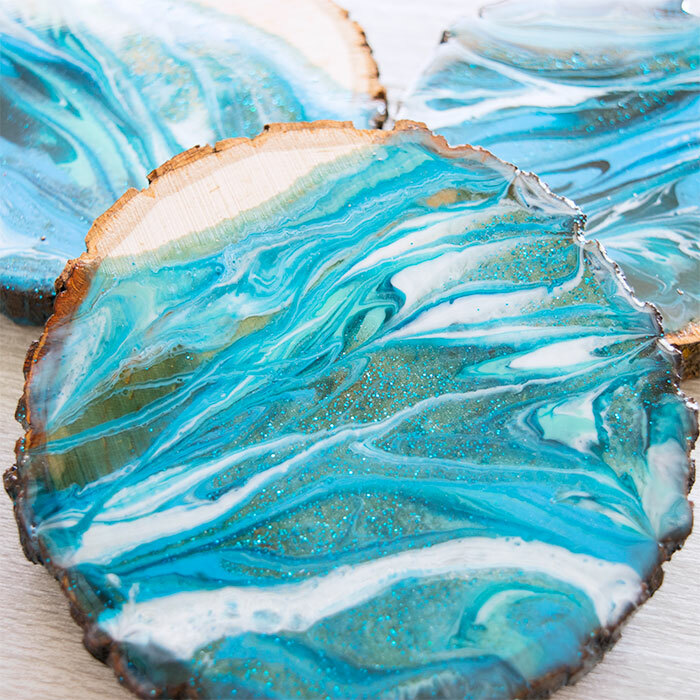 Finished in one of these ways, epoxy is beautiful. 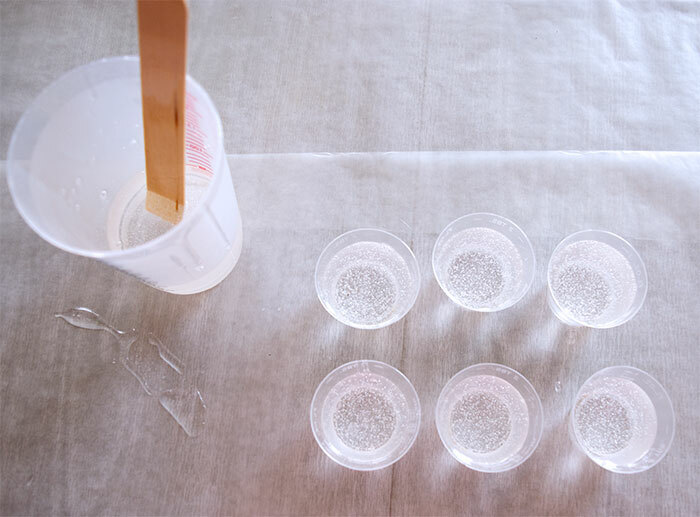 It is also relatively odorless, and less dangerous during application than other types of resin. Tint and fill. Using a toothpick or a small stick, add one drop of pugment at a time (top). Mix with a tongue depressor. 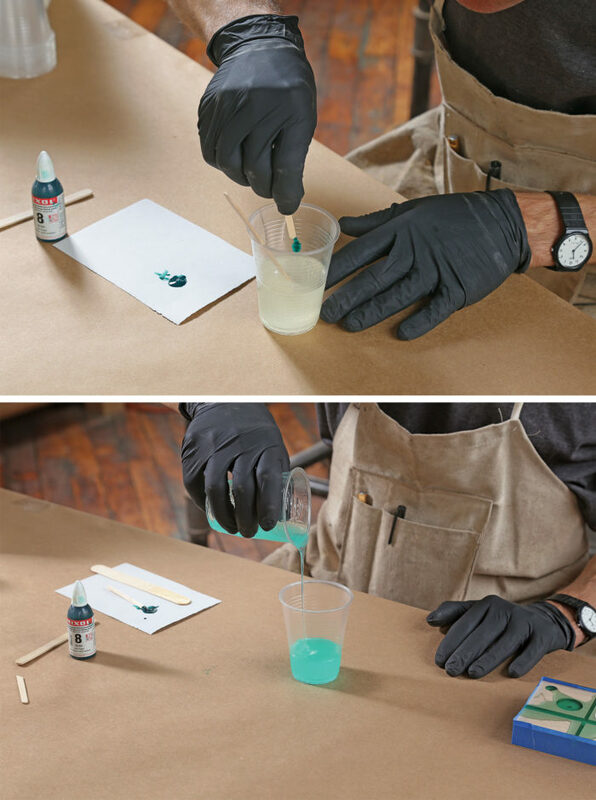 After you’ve gotten the color right, pour the epoxy into a second cup (buttom). 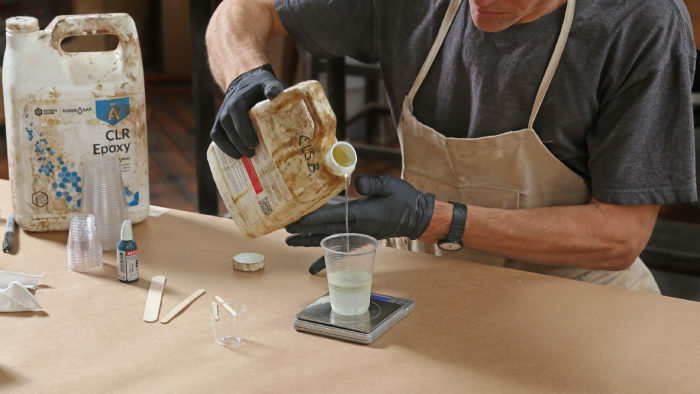 Don’t scrape out the first cup; you want unmixed parts to stay behind in the original cup. I mix CLR general purpose laminating resin with the CLS hardener to create an epoxy with a slow pot life (20 to 60 minutes), good clarity, and that gives off little heat as it cures. If the grooves are more than 1⁄4 in. 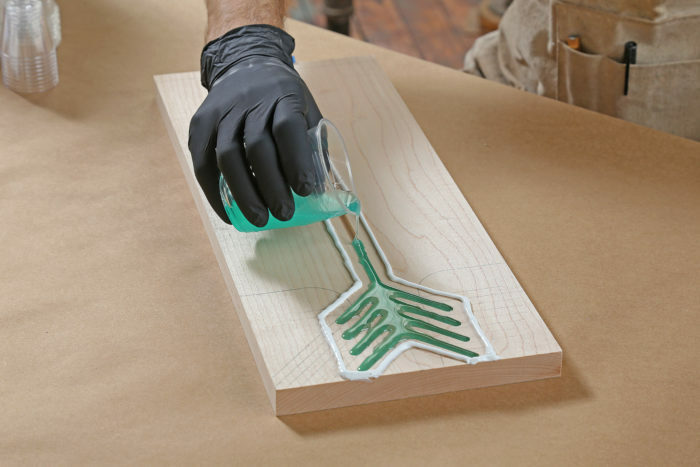 deep, switch to a “casting” resin for a longer pot life. 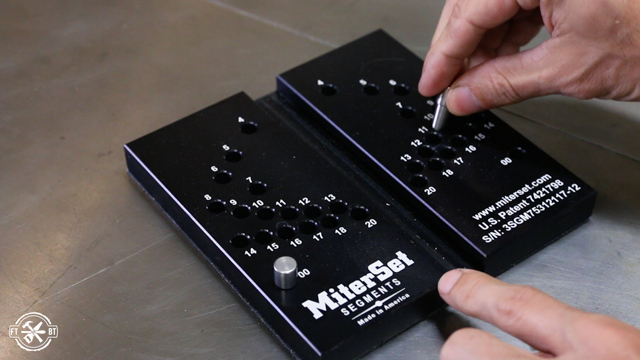 Don’t use quick-set epoxies intended for repairs. They tend to have a short pot life, and put off a large amount of heat as they cure. This can lead to trapped air bubbles, yellowing, and even cracking. 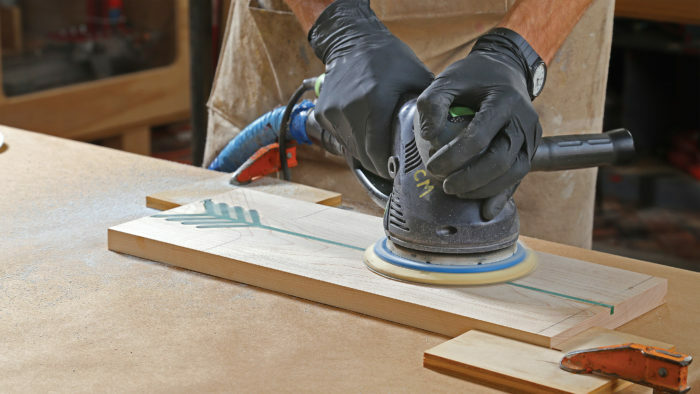 There are three things to consider when choosing a wood for epoxy inlay: the wood’s density, the size of its pores, and how thirsty its fibers are. Wood significantly softer than cured epoxy will sand more quickly than the epoxy, and you might end up with the inlay proud of the surrounding surface. Big pores, like those in red oak, can cause problems, too. The epoxy gets into them and it’s very difficult to get out, which is a problem if the pores are on the surface alongside the inlay. 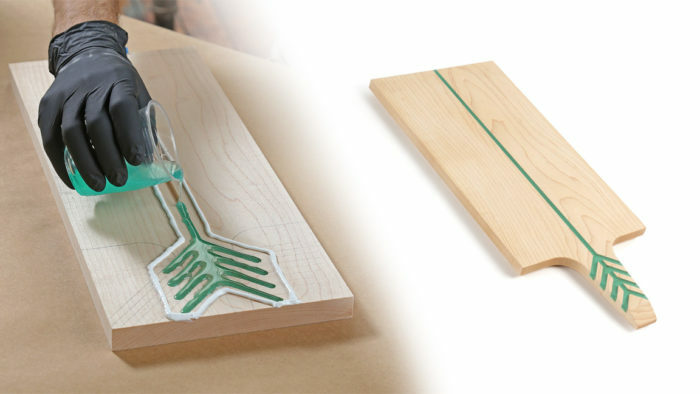 Finally, epoxy can flow into the fibers surrounding the inlay areas via capillary action. Beneath the surface, this isn’t a problem and actually makes for a stronger bond. But near and on the surface, it creates an unattractive halo of color. 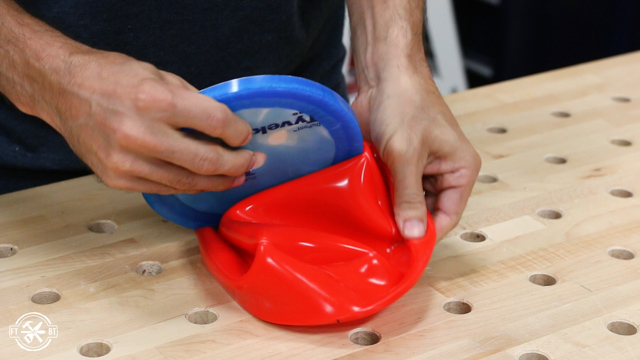 Overfill the grooves. Level the board first. Let the epoxy run through the grooves and rise above the surface (below). Most air bubbles will be found up in this excess, rather than down in the groove. A pattern like this one should take just a few minutes to sand flush to the surface. Then it’s on to shaping the workpiece. Pull off the caulk. Because it sits atop the wax, the caulk should come up easily without breaking apart. Sand it. 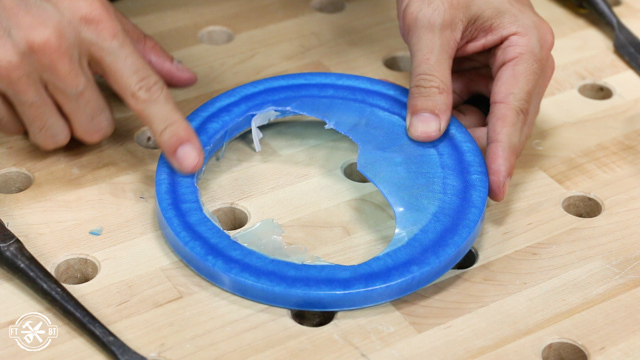 Epoxy is not as hard as you might think. Start with 80-grit paper and work up to 320 grit. 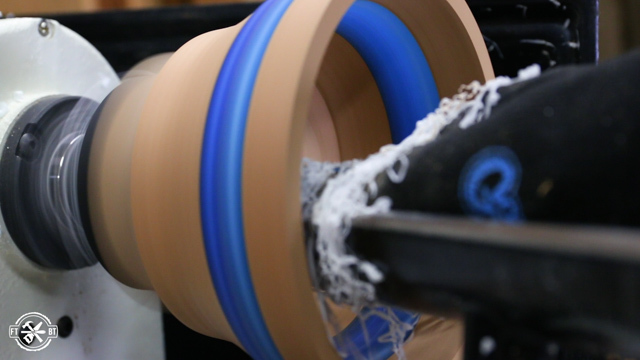 Moore raises the grain after 220 grit, and then sands again with 220 before moving up to 320. Use good dust collection, and wear a dust mask. Rough out the shape. Cut close to the layout lines drawn on the blank before the grooves were routed. What woods work well? Cherry, walnut, and maple have proven excellent for resin inlay, and they are the ones I use most often for cutting boards and cheese boards. 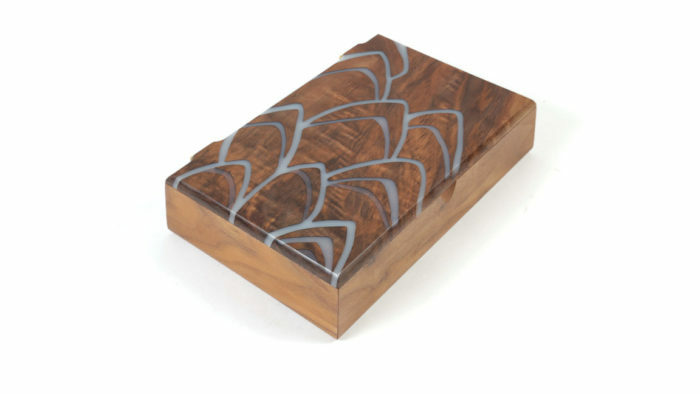 By cutting deep grooves and planing off the bottom of the workpiece after the epoxy has cured, you can create objects like this box lid, with the resin pattern visible on both the top and bottom. Deep grooves. 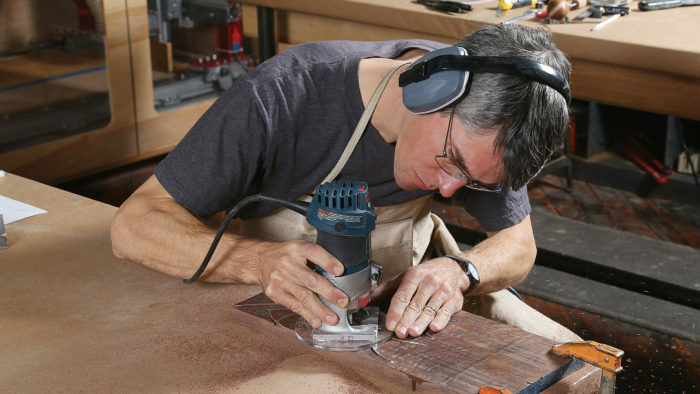 Start by cutting deep grooves in an overthick blank. For some patterns Moore works without a template. 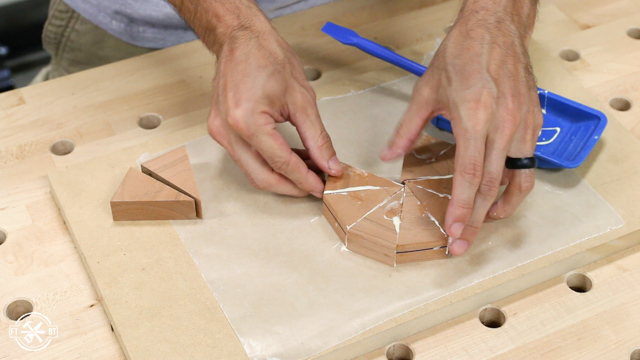 After drawing the design on the blank, he follows the lines freehand, moving slowly to control the router. Remove the waste. 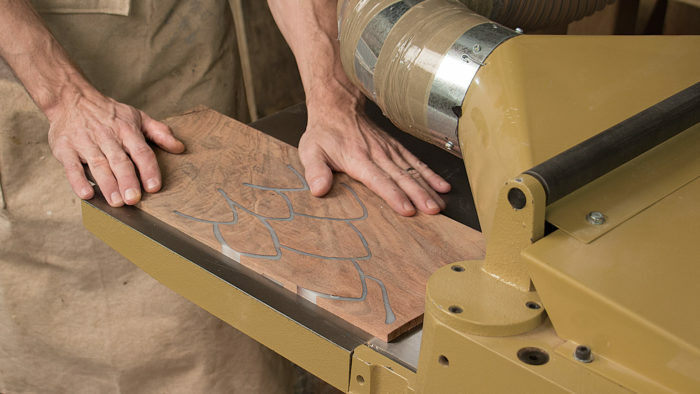 After filling the grooves with epoxy and flushing it off, Moore runs the blank through his planer to remove the bottom (take light cuts), exposing the epoxy inlay on both the top and underside. Europe, South Africa, Australia, New Zealand and North America on numerous occasions. demonstrating his skills and creativity. He will be demonstrating Decorating using Spiralling and Texturing, Basket Illusion, the Proedge and pyrography at his upcoming South Africa tour. Using a saw, cut a thick branch into sections 12 cm apart. 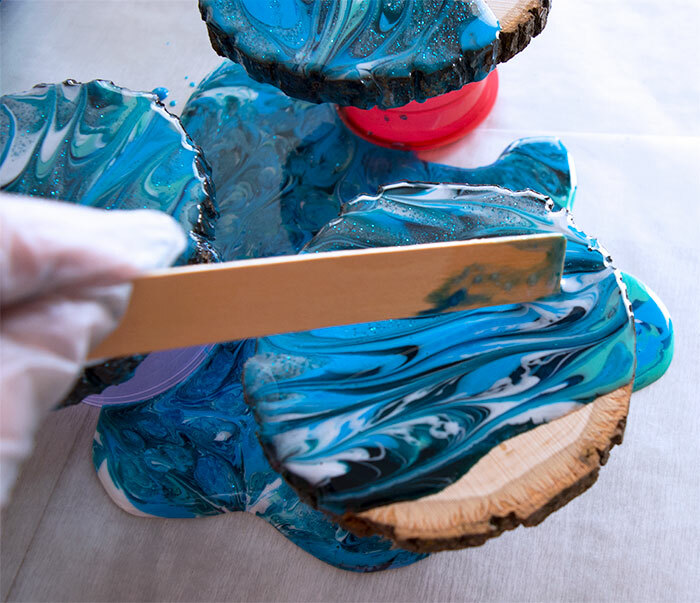 Use the sand paper to smooth the top, bottom and edges of the branch sections. 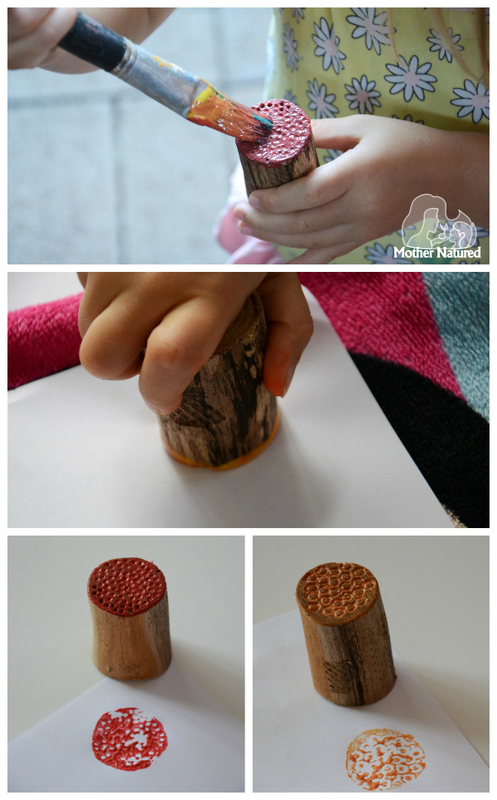 Do this for all the stamps, except for the screw. 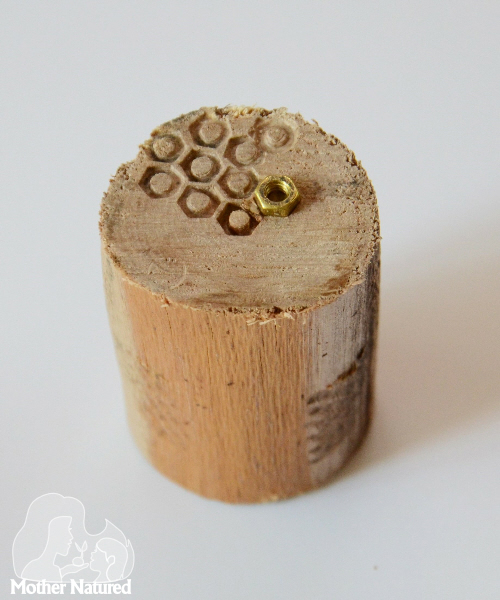 Place the screw on its side and hammer the side of the screw into the wood. 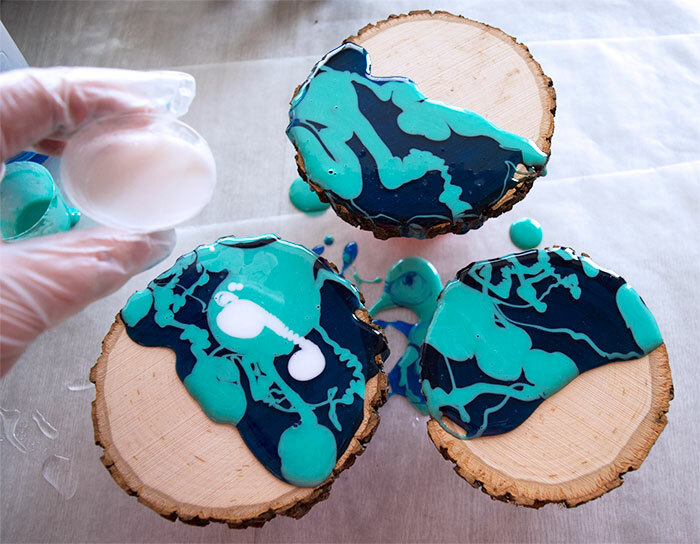 You can turn your branch stump over and create another texture on the other side or you can use them like I have, as singular stamps. 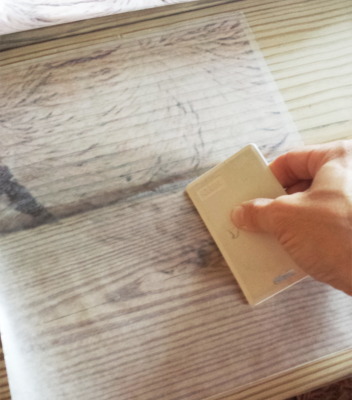 Give the top another slight sand paper when you’re finished. Time to paint and play! 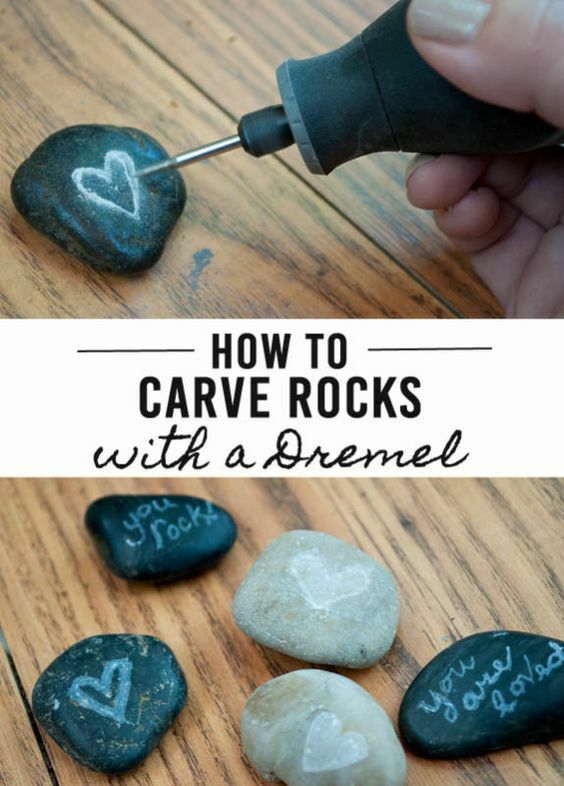 How to write on the rocks – All of the lettering was done using the diamond drill bit. Honestly it’s easy to make mistakes. I recommend going very slow when writing and only make one pass. If you want to go over it again you can but I found that most of the mistakes were done when I tried to go over the writing several times. You can also use the diamond bit to drill a hole straight through any of the flat rocks. Just be warned! It’s a messy job. • Wood moves more across the grain than along it. • Wood has more strength along the grain than across it. Sounds trite, I know. These are “everyone-knows-that” garden-variety facts. But there is more grist here for your woodworking mill than might first appear. 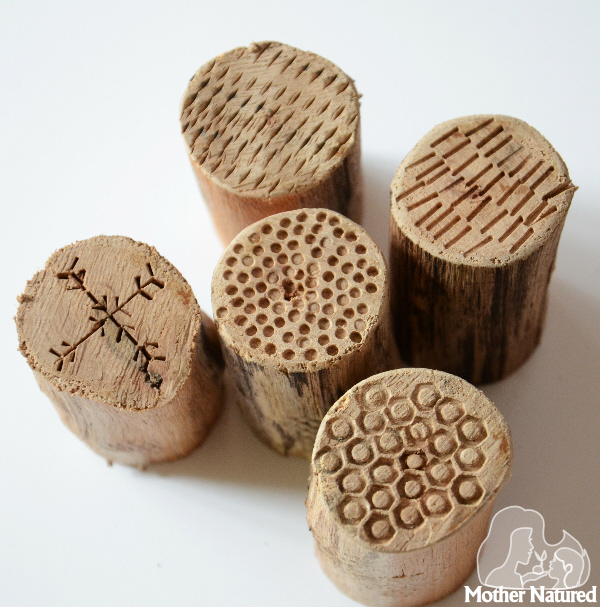 As a tree grows, most of the wood cells align themselves with the axis of the trunk, limb or root. These cells are composed of long thin bundles of fibers, about 100 times longer than they are wide. 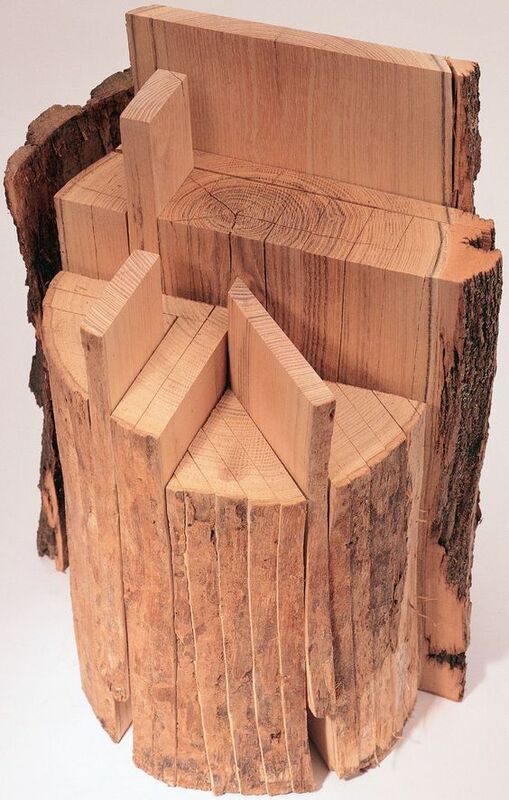 This is what gives wood its grain direction.Additionally, a tree grows in concentric layers, producing annual rings. You must pay close attention to these two characteristics — grain direction and annual rings — the way a sailor watches the wind. Ignore them, and they’ll bite you bigtime.Sawyers commonly use two methods to cut trees into boards, each revealing a different type of grain. • Plain-sawn boards are cut tangent to the annual rings. 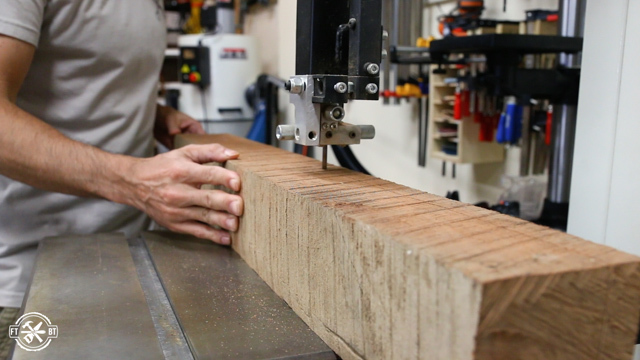 The sawyer “cuts around”the log, turning it for each series of cuts so the faces of the boards will show mostly flat grain (also called tangential or plain grain). 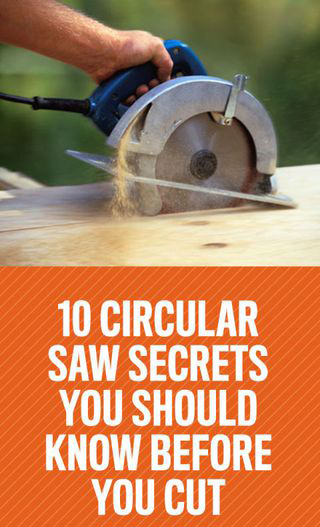 • Quartersawn boards are cut through the radius of the growth rings. The sawyer cuts the logs into quarters or bolts, and then saw each bolt so the boards show quarter grain (or radial grain) on their faces. Lumber doesn’t always show a single type of grain on its face. 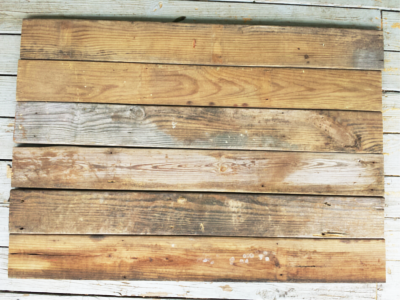 Plain-sawn boards in particular may show mixed grain — flat grain in one area and quarter grain in another. The grain between the two, where the surface is cut at a 30- to 60-degree angle to the annual rings, displays rift grain.Each type of grain has a distinct pattern, depending on the wood species.You can use these grain patterns to enhance the design of your furniture or your bird-houses. More importantly, if you know how to “read” the patterns, you can predict which way the wood will move and how much.